Today’s story is one you don’t want to miss. It’s a story of miracles, of the power in worship and thanks. It’s the story of Kellie Haddock. Kellie is a singer, songwriter, wife and mom. Her music draws from personal, real-life stories of beauty, tragedy, hope and the celebration of life. Her latest album, Leave the Light On, produced by Ben Gowell and featuring Sara Groves, offers catchy melodies and introspective tunes with a refreshing, full and uniquely groovy sound. Watching her three children play together in the backyard, Kellie Haddock was overwhelmed with gratitude. Her oldest, 10-year-old Eli, had beaten the prospects and prognosis once held over his little life. A decade earlier, this brand new mom and her husband, AJ, had buckled their 14-week-old newborn into his carseat for a routine trip home after visiting grandparents across town. The sun was setting, Kellie and her husband were laughing and singing in the front seat when the unthinkable happened. While Kellie has no memory of these details, she now knows another car from the opposite direction, exceeding more than 100 mph, hit the median, went airborne and landed directly on top of their car. It crushed their car roof to 1 inch above Eli’s car seat. Her first memory after the accident is staring at a gold cross “It’s almost like a movie shot where everything around is fuzzy but the cross,” says Kellie. A woman who’d stopped to help was wearing the gold cross necklace. Another stranger was holding Eli, now pale and completely limp. Kellie and Eli were life-flighted to a local hospital and it was only then that Kellie realized she hadn’t seen her husband, AJ. He’s probably not as badly injured and they’re taking him by ambulance, she thought. In the ER, however, a chaplain delivered the news: AJ had been killed instantly. “God is good. Jesus is Lord,” were the words Kellie heard herself say. But that resolute truth doesn’t mask real pain and her “heart crushed into a million pieces” as she broke down weeping with her sister and mom. Even in the tragedy, God’s fingerprints of goodness were all over. Although the roof was severely crushed, Kelli inexplicably sustained no injuries. She had lost, yes, but God had also saved. Eli had incurred traumatic brain injury triggering multiple strokes and seizures which deprived his brain of needed oxygen. He was in an induced coma in the PICU and had flat-lined more than once. By the third evening in the PICU, nurses urged Kelli who had not left once to go home, shower and eat. Just as she arrived at her in-laws, she got the phone call from doctors she’d been waiting for. After all the tests, the prognosis was in: if Eli lived, he would likely never walk, talk or show emotion. The house was filled with family and friends and Kellie relayed the gut-wrenching news. Her pastor gathered the group and asked them to worship — to use this moment to speak what they knew to be true of God. God is on the throne. The room filled with spoken worship. Though they never corporately prayed for Eli, Kellie said the presence of God in their worship was powerful. An hour later, as she re-entered the PICU, Eli’s nurse ran to her. They’d been looking all over for her. Eli had woken up and taken four bottles. Not only that, when Kellie went to her baby, she saw immediately that the only cut he’d sustained in the accident was gone. Less than a week later, he was discharged to home. Since the accident, Kellie has remarried and had two more children. And it’s as Eli was playing in the backyard — running, talking and laughing with his siblings 10 years after the accident — that Kellie had an idea: what if she could tell the medical team the rest of Eli’s story? What if she could go back and thank the doctors and nurses, the flight crew and techs? That week, Kellie and her husband opened their home for their usual monthly worship — a time when friends and friends of friends gathered for praise worship. Kellie happened to mention to a new guest her desire to go back and thank the doctors and nurses whose everyday heroics had saved Eli. Turns out, that guest worked for the very hospital where Eli had been treated. Also turns out, the hospital was looking to video a story to celebrate its 50th anniversary. Kellie and her husband began to dream big. They found nurses and doctors, therapists and flight crew who had helped to save Eli’s life. They set up 20 surprise visits. Each one on the medical team was given a reason to report to a meeting but then surprised by Kellie’s personal thanks, pictures of Eli and an invitation to a Thank You Event. Every one of the medical team remembered Eli. Many said they had worked more than 20 years and never been thanked. Several said this one thank you was enough encouragement to keep them going another 20 years. The power in thanks was as much for Kellie as the medical team. The power of thanks in The Thank You Project has been documented and seen more than 65 million times. What a joy to tell Kellie Haddock’s story today. 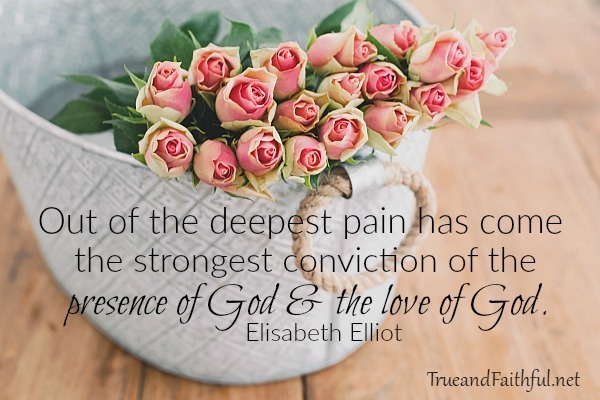 Her faith despite the hard, her vulnerability in sharing how God has worked in tragedy is so encouraging. You can connect with Kellie’s site here to keep up with her music and events and find her music at iTunes here. You’ll find Kellie on Facebook and Twitter here. Oy, every time I see this I just bawl!!! I have always loved her story!!! Amen and amen, Paris Renae. Oh my word! What an amazing story! Thank you for passing this along. God is good all of the time!! My, my, my….what an amazing and blessed testimony! This story gives me hope as I have suffered heartbreak of a broken past relationship. I know that God is faithful and just and will one day restore what I lost just as He did for Kellie. Thank you so much for posting and sharing this. I was immeasurably blessed. I will not give up hope, but continue to praise and worship God for the wonderful man in my life to come as well as the other wonderful things to come. God bless you and God bless Kellie. That is a good word, Tonja. Praising God *in* the storm must be sweet praise indeed. What a beautiful and miraculous story. Thank you so much for sharing! This one blessed me as well, Barbie! This one blessed me as well, Barbie. 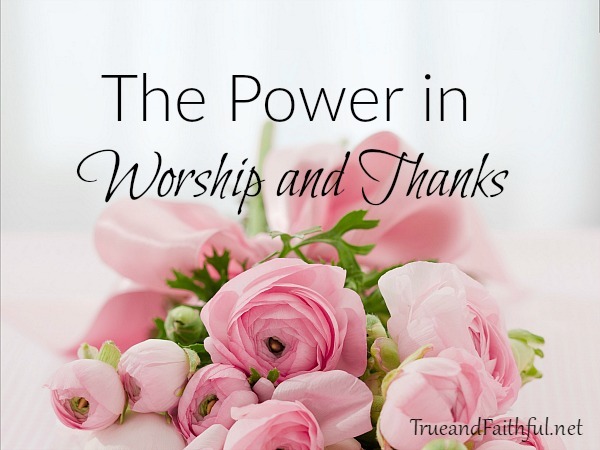 Power in worship and thanks. Yes, indeed. What a beautiful story. Going back to thank someone like hospital workers takes effort, but it’s so worth it, isn’t it? That was a great lesson, Betsy — that it’s never too late to tell someone who has impacted us thank you. Wow, this is amazing! Thank you ever so much for sharing this…I had never heard of her story. God bless you! Who knew that thanks could be so powerful! The tears are flowing….. Oh, goodness, what a hard but beautiful story. I watched this video a year or two ago, and if I remember correctly, I cried then, too! Praise God that He’s with us through the easy and the hard. Yes, praise the Lord. Thank you for sharing your story, Kellie. Thank you for sharing your blog space, Lisa. Lisa, tears are definitely flowing right now! Thank you for sharing this amazing story of thanks and worship. Absolutely amazing. I’m in awe of God’s goodness, and how He is with us through even the most horrific situations. Praise His name! Wow what an amazing story. I feel like my heart kept breaking as I read it. Yet, God is good and faithful. This story will be one that stays with me…and has taught me lessons in praising God *in* the storm. He is good, Sarah.